A New York Times bestselling author reveals how the beautiful, isolated Napa Valley wine region of California exploded into an extraordinary outsized version of the American dream and whose vineyards sparked an unbelievable power struggle between old family stewardship and multinational corporations. Not so long ago, wine was an exclusively European product. Now it is thoroughly American; emblematic of Napa Valley, an area idealized as the epicenter of great wines and foods and a cultural tourist destination. But the romanticized accounts you find about it and its denizens is not what you’ll encounter in James Conaway’s candid book. Napa at Last Light exposes the often shadowy side of the latter days of Napa Valley—marked by complex personal relationships, immense profits, passionate beliefs, and sometimes desperate struggles to prevail. In the balance hang fortunes and personal relationships made through hard work and, in too many cases, manipulation of laws, people, and institutions. Napans who grew up trusting in the beneficence of the “vintner” class now confront in the twenty-first century multinational corporations and their allies who have stealthily subsumed the old family landmarks and abandoned the once glorious conviction that agriculture is the highest and best use of the land. Inherent in that conviction is the sanctity of the place, threatened now by a relentless drive for profits at the expense of land, water, and even life. Hailed as the definitive Napa writer, Conaway has spent decades covering the region. 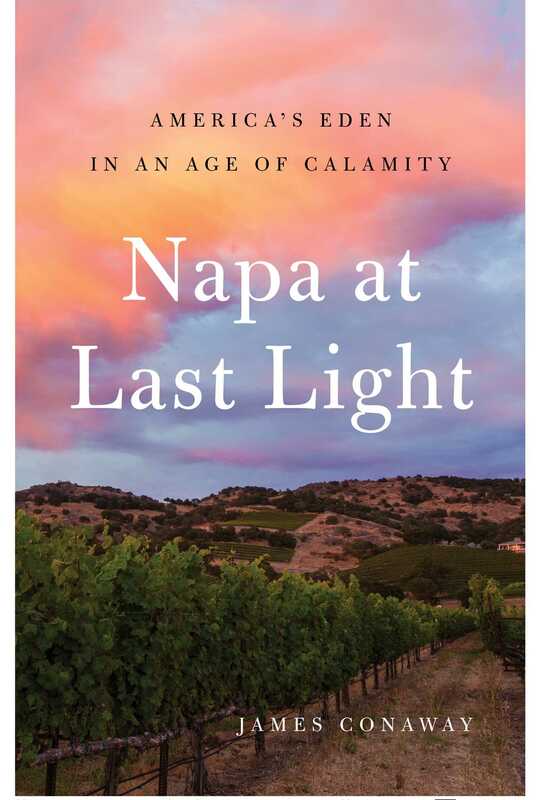 Napa at Last Light showcases the greed, enviable profits, legacy, and tradition that still collide in this compelling story. The area is still full of dreamers, but of opposing sorts: those longing for a harmonious society based upon the vine envisioned by Thomas Jefferson more than two hundred years ago, and self-styled overlords yearning for wealth and the special acclaim only fine wine can bring. Bets are still out on what the future holds. Wine has an animal life. What beverage is so freighted with myth and fortune as to radically alter whole landscapes and minds, yet lacks nourishment and the life-sustaining quality of water, requires protracted physical effort to cultivate, is prone to loss and spoilage, is costly to produce and store, serves no practical purpose beyond temporary euphoria, and helps sustain kings, poets, politicians, priests, lovers, idealists, the sick, the stricken, and all manner of rascals throughout the human moment? Wine, none other. And in the age of global warming it also underlies the destruction of woodlands and the enrichment of corporations at community expense, creates delusions of grandeur, occasionally deranges (in recent years Napa Valley has experienced a bizarre murder in the vineyard, financial scams, and—in 2005—a multimillion-dollar inferno, all in wine’s name), burnishes fortunes based on little more than style, and in its veneration lie unspoken desires and motives, noble and base. Despite its sublime nature and lasting appeal, wine’s true cost is occurring to more and more people in places abounding in it at the outset of the new century. Everyone once loved it without qualification, but to many it has now become an adversary, even a grotesque one. Many fear its effects beyond showiness and profit, and they band together in geographical tribes named for creeks and slopes where they live, “ordinary” citizens in the parlance of the industry. They pick at the beast with sharpened spears, determined to bring it back to its old docility, and some to bring it down. Back in the 1980s, in the sun-baked groves of academe in the town of Davis, in Northern California, an august professor of enology speculated about how wine might first have come into contact with the human palate. He imagined a place in the Caucasus Mountains and an early humanoid discovering a rock crevice into which wild grapes had fallen and fermented a delectable drink from Vitis vinifera or some evolutionary cousin of that grape, and the discoverer lapped it up. Human beings never got over the first experience, wherever it took place, and were determined to replicate it. In that dim cognition are the roots of Napa’s ascendant glory, and possible undoing. Today artisanal winemakers know all the science and all the provenance, but they’re still surprised by small changes in a wine and occasionally stunned by an apotheosis that, as one Napa Valley vintner was fond of saying, could drop you to your knees. The Davis professor was no fabulist. He had endured hardship in his quest for knowledge, flying to Afghanistan half a century before to search for such a rock crevice, figuratively speaking. The car in which he and his fellow scientists traveled had to be leveraged with tree trunks across a river, a challenge that apparently diverted the natives from possibly killing the visitors. Real-life Indiana Joneses, the scientists drove on with an enhanced appreciation of chance and the dangers, as well as the romance, of wine. Alcohol had a lot to do with that early humanoid’s reaction. Transcendence of the human condition, post-Eden, meant shedding for a time the yoke of toil, uncertainty, and suffering. The first sipper must have felt godlike, and mightn’t wine have been an element in the conversion from a nomadic to a place-based existence, a notion of terroir before terroir was a word? By the second decade of the twenty-first century, wine, by nature traditional, was anything but. Millions upon millions of cases were out there, from the most basic to legendary Petrus and Haut-Brion. Learning about and selling it had become complex with the radical shrinkage of distributorships and was loaded with scientific speculation and political association. More than ever wine was an ideal vessel in which to view the broader society, and never before had there been so much available. The search for “the best” was widespread and ardent, a manifest reflection of the celebrity-driven age. The stuck fermentation of wine criticism had changed radically, too; the big developments being the 100-point rating scale, and later the exuberant Internet bloom of wine opinion. The meager choices had left many drinkers unhappy with both the small, insular group of critics who announced what was good and assigned numbers seemingly arbitrary and inflated, like the prices of the wines themselves, and with the energetic if polyglot democracy of oenophiles often engaged in Internet warfare that was as much about personality as it was wine. One of the former band of critics, a Maryland lawyer named Robert Parker, had created America’s collecting tier back in the 1980s by introducing the 100-point scale in his homey mailer The Wine Advocate. He is important because he altered not only the way wine is sold but also how it is made and seen, and—inadvertently—its overall effect on people and place. The Wine Advocate appealed to the new money elite rising with the fortunes of the new president, Ronald Reagan, and eager for proof of sophistication. Close behind it was the Wine Spectator, a glossy appropriator of Parker’s point system but one heavily augmented with additional tasting heads and “lifestyle” features—lavish ads, soft-focus profiles of vintners, wine destinations, and wealthy investors. These two leviathans, one serious, the other overwrought, should have been archrivals but in fact offered each other tacit support by persisting with a flawed rating system that amplified small, expensive differences among wines. Of the two, Parker was the most respected, yet over time all 100-point critics would come to be criticized as narrow, elitist, and often unreliable. But wine bloggers had proved so diverse and divisive that their early promise of becoming major movers of brand wasn’t realized, the result being a broad reassessment of the way wine was evaluated and presented to the fast-growing number of wine drinkers. A common fable has Marvin Shanken, publisher of the Wine Spectator, envying Parker his nimbus of rectitude and wishing that Parker would one day run ads in The Wine Advocate, as the Wine Spectator did, let others do the tasting, and sell controlling interest to investors in Asia, all of which would cost Parker his sanctity. Then one day Shanken woke up to discover that all this had more or less happened. Parker made a lot of money by selling controlling interest in The Wine Advocate, allowing stand-in tasters—one of whom was accused of accepting bribes, and becoming involved in a legal dispute with another contributor. The Wine Spectator then cast itself as the ne plus ultra of the 100-point duet, while Parker struggled to heave his considerable bulk back onto its pedestal, meanwhile denouncing “jihadists”—bloggers and younger critics who considered his favored style of wine unbalanced and his views hopelessly old-fashioned. Parker remains a figure of speculation, particularly in Napa Valley, where those who knew him back when remember a friendly young man with remarkable olfactory abilities pushing a newsletter published in Baltimore. Parker hustled it in liquor stores most critics wouldn’t have bothered visiting, and told amusing stories of being forced in Bordeaux to conceal himself so Baron Philippe de Rothschild of the sacrosanct Mouton Rothschild, passing in his limousine, wouldn’t have to look at this American, and having a dog tear at his cuff after being released by a vintner outraged by a Parker review of his wine. But Parker’s true loyalties are a mystery. In Napa, wines were made to emulate those he favored, particularly the soft 1982 Bordeauxs. Never tolerant of criticism, his ambition seems to have been shaped by a blue-collar upbringing. He didn’t taste wine for the first time until in his twenties, traveling with his girlfriend in Alsace, and he never got over the experience. Parker made friends among vintners in Bordeaux on the scruffier right bank of the Gironde, McCoy adds, “and championed some at the expense of the higher-class representatives across in the Médoc.” In Napa, he was a major force behind the success of the decidedly blue-collar vineyard developer Dave Abreu, and Parker also greatly enhanced the reputation of the wines of Bill Harlan, latter-day advocate of wine dynasties whose father had been a meat cutter, as we shall see. 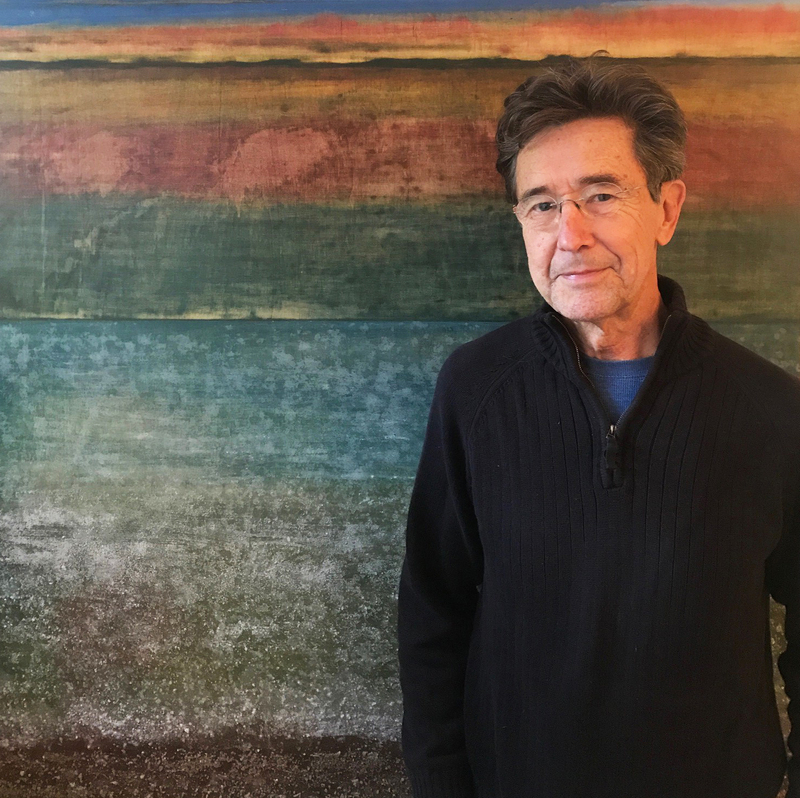 The question of wine’s effect on the California landscape—Kendall-Jackson’s deforestation on the Central Coast, the radical alteration of Napa’s hillsides by Abreu and developers like him—seems never to have occurred to Parker. Anyone reading his newsletter would infer that the notion of an “environment” was of little interest to him and that the owners of the labels he praised should be encouraged to do with their land whatever they desired. He, like The Wine Advocate, was so influential after hard-selling the 1982 Bordeauxs that they shaped not only America’s newly endowed palates but also the hillsides and flatlands of Napa and other lovely, vulnerable climes. The 100-point critical scale ignores most of the world’s wines and is, in essence, a 20-point scale concentrated on those at the presumptive top of the heap. Many of the dominant so-called cult wines made famous by Parker and the Wine Spectator are lush, the sometimes freakish offspring of deliberately over-ripened grapes whose enhanced power derives from greater concentrations of sugar. Their fruity, alcoholic “assault” overwhelms the palate and the finish goes on and on, but not necessarily pleasantly. Others are so dense as to defy evaluation, their impenetrability due more to the persistent, concentrated taste of ripeness than to too much tannin, the old culprit that once made cellaring of expensive bottles mandatory. Most cabernet sauvignons blessed by The Wine Advocate and the Wine Spectator didn’t complement food and often competed with it. As expensive as they were out of balance, they served as appropriate metaphors for a valley with wide social imbalance and loudly contending voices, all asking what were the rights and proper roles of wineries, agriculture, and citizens, and how much of a once-traditional culture could possibly survive triumphal extremes of modern capitalism. Where vines were planted was still important to some winemakers and critics, but terroir now had a parallel universe that lurked in sales catalogues of “enhancers” that could legally be mixed with wine to alter its appearance, smell, taste, and feel. Expensive machines could literally dismantle a wine and put it back together again, minus the flaws and, in many cases, the personality. Such lobotomized potions were one reason oenophiles began to focus on “context”: viticultural, environmental, artisanal, social. Increasingly they found the 100-point system irrelevant and the wines divorced from the places where the grapes are grown. But many winemakers continued to look on terroir as a quaint anachronism. As more cerebral, historically minded, socially conscious drinkers slipped away from the 100-point scale, new wealth in China, Russia, and India helped fill their shoes. High-scoring wines were made with foreign nationals in mind who might need the same simplistic scale Parker provided his countrymen back in the 1980s. And Americans wanting trophy wines for important dinner parties continued buying them as well. The author Wendell Berry famously wrote that eating is an agricultural act. So is drinking wine. It’s also an environmental one. Greenwashing to shield wineries from the fact of their Roundup dependency, and reliance on certain critics to vouch for them, turned off drinkers of all ages. And those promoting Pavlovian wines were no more secure than those making them. Changing course at a late date, as is now the tendency, and abandoning proclamations of the supremacy of over-ripe fruit is as difficult for a publication as it is for a winemaker, as well as embarrassing. William Younger’s assertion in Gods, Men and Wine that wine has an animal life referred to specific stages of existence—birth, youth, maturity, old age—but implicit in that comparison is appetite. This was one of the traits cited by Aristotle for animals and vegetables alike, distinguishing them from minerals, but wine is in a singular category, incorporating the sublime effects of grapes, environment, craft, and sensibility, all in concert. Can solastalgia—that existential distress caused by environmental loss—be mirrored in a glass of wine? Can someone both adore and resent it? Wine’s exalted position in corporate history is fairly recent, reflecting the usual concern with money first and product second, the former almost always detracting from the quality of the latter. Wine thus becomes a prime example of the difficulty of maintaining high standards when these don’t produce the highest income, the very notion of “branding” an inadvertent acknowledgment of trending mediocrity. The essence of a thing that by virtue of excellence testifies to an aspirational ethos promptly loses it by embracing brand, which is primarily the assertion that one has arrived, whether or not one really has. Such capitulation destroys the vision and creates something else entirely, while independent winemakers who come in at the bottom are sucked upstairs and then blown out the other end, their fortunes made but their wines soon “masstiged” (high prices maintained while quality is abandoned) and their reputations, too. Wine’s thread in the contemporary corporate fabric, ironic and potentially tragic, is now ensnared in Napa in real estate and tourism as well; profiteers who once followed the conquering army and are now poised to lead it. The one material aspect of wine likely to endure as long as there’s water are the vines themselves. Never has a plant species done better for itself than Vitis vinifera, reigning in Napa between the Mayacamas and Howell ranges and on top, the fruit pampered beyond the dreams of Turkish pashas, the study of their happy lineage the life’s work of human servants at their computer screens. Vines’ planting and upkeep are accomplished at the expenditure of money that would be the envy of regal scions of old. Vines now occupy the best ground, have the best views, are catered to at every turn, their progeny lovingly delivered and tended with near-maniacal concern. What their fruit is turned into isn’t just a valuable liquid for consumption, but one imbued with human and, according to savants through time, divine attributes: transcendence, the magic carpet effect, an ineffable quality that ultimately defies definition even as the grapes’ manifestation is drawn reverentially from the blackest depths of the birthing barrel. But is this newborn slave or master? "For decades, James Conaway has kept a keen eye on this unusually fecund—and fraught—piece of ground, and has meticulously charted its long, sad decline toward some sort of thematic caricature of itself, a Disney World of the Grape. In this fine book, we see how that decline happened. It’s all here: The titanic egos, the real estate wrangling, the corporate high jinks that, little by little, brought this sun-kissed paradise firmly under the spell of Mammon." —Hampton Sides, bestselling author of Blood and Thunder and In the Kingdom of Ice.